Una meravigliosa descrizione del nostro Laboratorio SIRSLab #sirslab con Monica Malvezzi, Giulia Pompili, Maria Pozzi, Samanta Scala, Chiara Gaudeni. Complimenti! Leonardo Meli, Irfan Hussain, Mirko Aurilio, Monica Malvezzi, Marcia K. O’MalleDomenico Prattichizzo. Abstract. Haptic interfaces are mechatronic devices designed to render tactile sensations; although they are typically based on robotic manipulators external to the human body, recently, interesting wearable solutions have been presented. 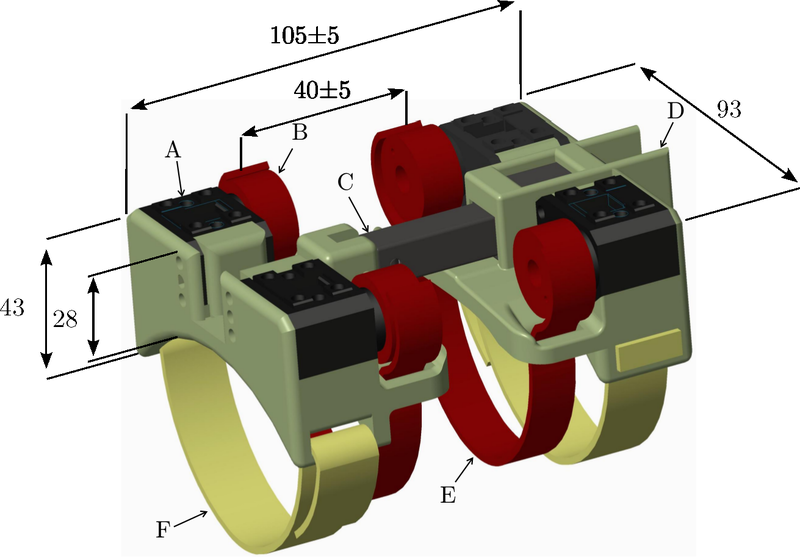 Towards a more realistic feeling of virtual and remote environment interactions, we propose a novel wearable skin stretch device for the upper limb called “hBracelet”. It consists of two main parts coupled with a linear actuator. Each part contains two servo actuators that move a belt. The device is capable of providing distributed mechanotactile stimulation on the arm by controlling the tension and the distance of the two belts in contact with the skin. When the motors spin in opposite directions, the belt presses into the user’s arm, while when they spin in the same direction, the belt applies a shear force to the skin. Moreover, the linear actuator exerts longitudinal cues on the arm by moving the two parts of the device. In this work we illustrate the mechanical structure, working principle, and control strategies of the proposed wearable haptic display. Furthermore, we present a qualitative experiment in a teleoperation scenario as a case study to demonstrate the effectiveness of the proposed haptic interface and to show how a human can take advantage of multiple haptic stimuli provided at the same time and on the same body area. The results show that the device is capable of successfully providing information about forces acting at the remote site, thus improving the overall telepresence. This work will be presented at the IEEE International Conference on Robotics and Automation (ICRA 2018) that is held 21-25 May in Brisbane, Australia. Our #sirslab star Tommaso Lisini during his excellent defence. Congratulations Tommaso for your PhD degree !!! Today, the paper “MOOC on The Art of Grasping and Manipulation in Robotics: Design Choices and Lessons Learned”, by M. Pozzi, M. Malvezzi, and D. Prattichizzo, will be presented at RiE 2018, the 9th International Conference on Robotics in Education, Malta. The MOOC is already available here. Abstract of the paper. This paper presents guidelines for designing a MOOC on Advanced Robotics topics based on the authors’ experience in creating an on-line course on The Art of Grasping and Manipulation in Robotics. 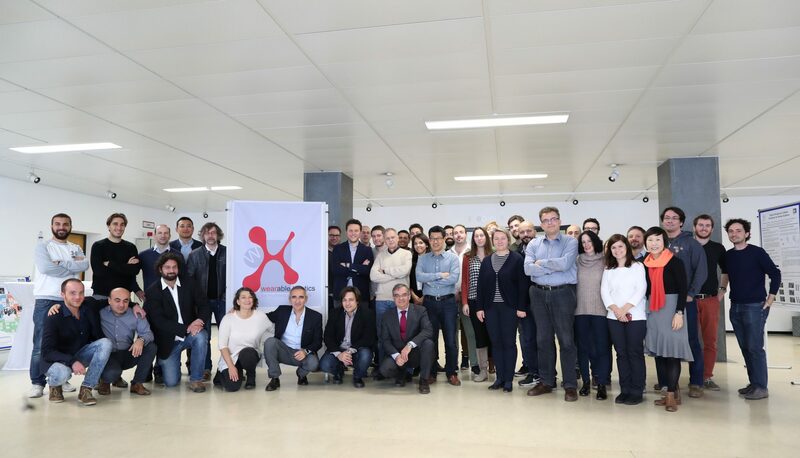 After a revision of the main MOOCs and video lectures about Robotics that are available on-line, we present our course and describe the preliminary feedback we gathered from a group of Master students. Tomorrow we will run the Cross-Cutting Challenge on Expanding Sensory Motor Interactions organized by @Claudio Pacchierotti, @Leonardo Meli and myself in San Francisco at the IEEE Haptics Symposium 2018 #hapitcs2018 venue. Recently, Elon Musk told an audience at the Dubai World Government Summit that “over time I think we will probably see a closer merger of biological intelligence and digital intelligence.” In an age when AI and autonomy are becoming widespread, there is a growing need to empower human interactions through new intelligent devices. Nowadays, we have small wearable devices able to apply compelling haptic sensations as well as comfortable instrumented garments able to sense inputs coming from the human wearer (contact forces and motion). In the future, we foresee an advancement of these technologies toward more wearable and seamless solutions, until their complete blend and merge in what we call “wearable sensorimotor interfaces”. These novel interfaces will be able to sense user input and biometric information, and to apply haptic and other stimuli in an extremely seamless and comfortable way. This will be the first step toward a new field of research that can dramatically enlarge the potentiality and applicability of haptics to enhance human capabilities, health, and human interaction with digital information. Future applications may be in mixed and augmented reality, human sensory augmentation (e.g., extra limbs), assistance to elderly and disabled people, and natural control of intelligent devices (e.g., Internet of Things, smartphones). Domenica 25 Marzo si terrà presso il Royal Golf la Bagnaia la terza edizione della Golf Cup Rotary Siena Est. Tutti i fondi raccolti saranno destinati al nostro Laboratorio di Robotica #SIRSLAB del Dipartimento di Ingegneria dell’Informazione dell’Università degli Studi di Siena.